The Land Portal was set up in 2009 as a partnership project to support the efforts of the rural poor to gain equitable access to information resources on land and to secure land rights. 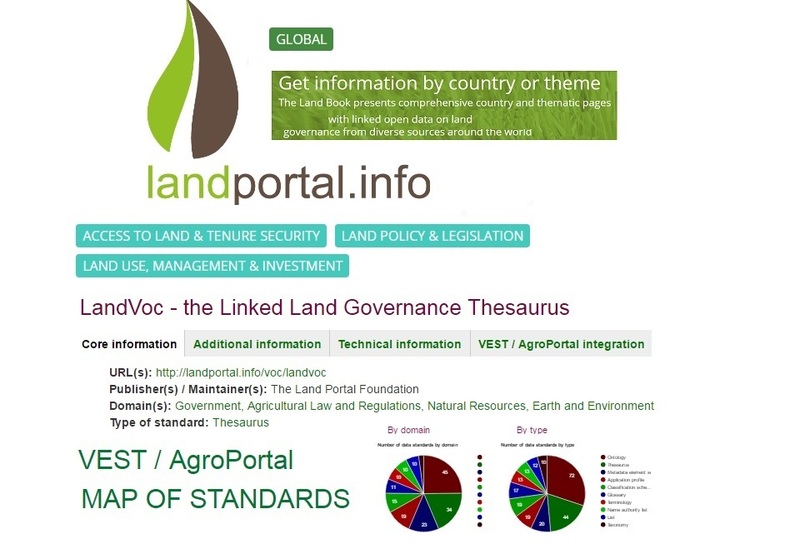 Serving as a leading online knowledge broker for information related to land issues, and in accordance with its vision, values and theory of change, the Land Portal is advocating the adoption of cutting-age linked open data (LOD) technologies and standards in the land sector, thus contributing to the development of a more inclusive land governance information ecosystem. As part of GODAN Action, the Land Portal recently conducted a scoping study on the use of topical standards in the land sector, which came to the surprising conclusion that knowledge and use of standards in the land sector is limited to non-existent. Many organizations have no classification scheme whatsoever for the content they upload to their websites, and none of the organizations were found to use any type of standard related to land. The Land Portal is addressing this enormous gap by establishing an open LandVoc - the Linked land governance thesaurus, which is primarily derived from the Food and Agriculture Organization of the United Nation’s (FAO) AGROVOC standard vocabulary for agriculture. In particular, LandVoc is a list of 270 land-related concepts, built as a separate scheme on the backbone of AGROVOC. In this way, LandVoc not only uses AGROVOC stable URIs to describe its land-specific terminology identities (i.e. terms and concepts), but also is automatically connected through these URIs with the new Global Agricultural Concept Scheme (GACS). 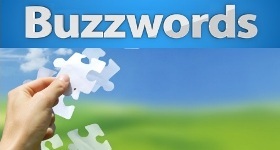 Taking into account the fact that the AGROVOC thesaurus is a global controlled vocabulary, the Land Portal asks its local partners to review the LandVoc list of identities and to add synonyms to existing concepts to better reflect the local usage of terms in multiple languages, thus transforming LandVoc into a product that can be used by the land sector at global level. Recognizing that land can be a controversial subject, the Land Portal is establishing an informal working group of land experts from various backgrounds, languages and regions of the world to review and confirm additions and changes to the LandVoc vocabulary. LandVoc is a dynamic system that will continue evolving by incorporating new and changing existing concepts related to land. The Land Portal has greatly appreciated collaborating with the FAO-AGROVOC-team to extend the coverage of AGROVOC in the domain of land governance and tenure, as well as with the GACS - Global Agricultural Concept Scheme consortium, to develop the LandVoc thesaurus. Thanks to the collaborative efforts, the LandVoc should not “re-invent the wheel” by creating yet another new standard, but rather is filling a gap in the land knowledge sector. Being built upon existing vocabularies and closely engaged with new open initiatives such as, for example, GACS thesaurus mapping agricultural standards to each other, LandVoc is ultimately contribute to ensure the maximum benefit of open standards in the global information ecosystem on the World Wide Web – a global partner for Sustainable Development Data. Post Scriptum: “You can’t resist an idea whose time has come. This is the time for openness. If you don’t go open by yourself, openness will come to you”. This Package was released officially at the Open Government Partnership Summit in Paris on December 8, 2016. Read this briefing introducing the AgPack (its objectives, scope and content). Curious about a confluence of data in different sectors? Then check out the news about the upcoming Data Science Congress 2017 that will be held in Mumbai, India, on 5-8 June 2017. Get involved and participate in the Smart Agriculture Conference: GeoAgri-Navigating the Change that will be held within the context of the Geospatial World Forum, in Hyderabad, India, on 24 – 25 January, 2017. Research Data Alliance (RDA), Interest Group on Agricultural Data (IDAG) and Global Open Data in Agriculture and Nutrition (GODAN) invite you to attend the IGAD pre-conference meeting that will take place at the University of Barcelona, on April 3-4, 2017, before the 9th RDA Plenary Meeting (April 5-7, 2017). The first United Nations World Data Forum is gearing up for (15-18) January kick-off in Cape Town, South Africa, to discuss different aspects on how to harness the data revolution for sustainable development. 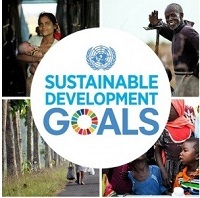 On 25 September 2015, the 193 Member States of the United Nations adopted the 17 Sustainable Development Goals (SDGs) of the 2030 Agenda for Sustainable Development, global objectives expected to guide the actions of the international community over the next 15 years (2016-2030). Explore this site to find out more about the efforts of the UN and its partners to improve the lives of people everywhere through SDGs. 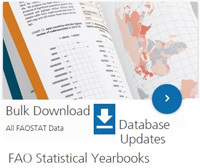 Explore this site to find out more about the FAOSTAT. 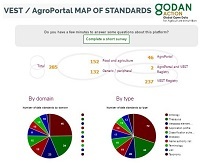 This global map of standards - relevant to the exchange of agriculture and nutrition data - is the continuation of the FAO VEST Registry under the GODAN Action umbrella. Search/browse and contribute on the AIMS portal. Explore this site to find out more about a collaborative website for a Dictionary on Agroecology (in French). This valuable initiative and resource is a result of common efforts of INRA and Région Occitanie. The Dictionary is included in the FAO Agroecology Knowledge Hub. These series are created with farmOS: open source web-based application for farm management, planning, and record keeping.